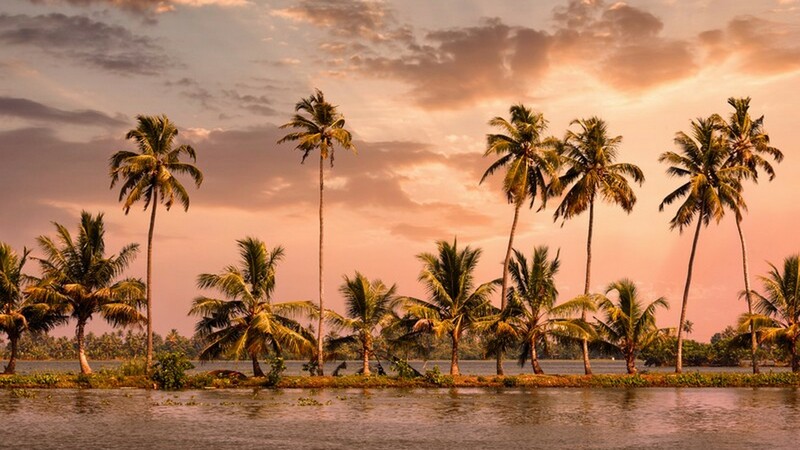 From the hilly regions to golden sand beaches, Kerala has got it all to make your life better. Blissful trip to Kerala Tour Package offers a unique tour experience in some of the best places to visit in Kerala where you can soothe your body and soul. The destinations covered in this package for your Kerala visit include Kochi , Munnar, Thekkady, Alleppey, Kovalam, Varkala and Gavi. Our representative will be picking you up from the Cochin International Airport by our representatives and checking in a hotel in Cochin. The day is at leisure and for visiting the places in Cochin – Kochi Harbour, Bolghatty Palace, Marine Drive, Inland Waterways. Enjoy the metropolis for the day and overnight stay in the hotel. Start your South India tour after breakfast by exploring Fort Kochi and Mattancherry. the resort. Fort Kochi is rich in cultural heritage and gives the most exciting sights. Visits of the day: Santa Cruz Basilica, St. Francis Church, Fort Kochi Beach, Mattancherry Palace, etc. Proceeding to Cherai. Cherai beach is one of the best beaches in Kerala and is surrounded by paddy fields and serene backwaters. Enjoy multi-cuisine meals and a great beach. Overnight stay in the hotel in Cochin. Checking out from the resort in Kochi and proceeding for Kerala village tour at a backwater resort. Checking in at a backwater resort in the Kochi- Alappuzha border. Sunset cruise and pedal boating is a major activity of the day. Visit the beaches, walkway and auction arenas. 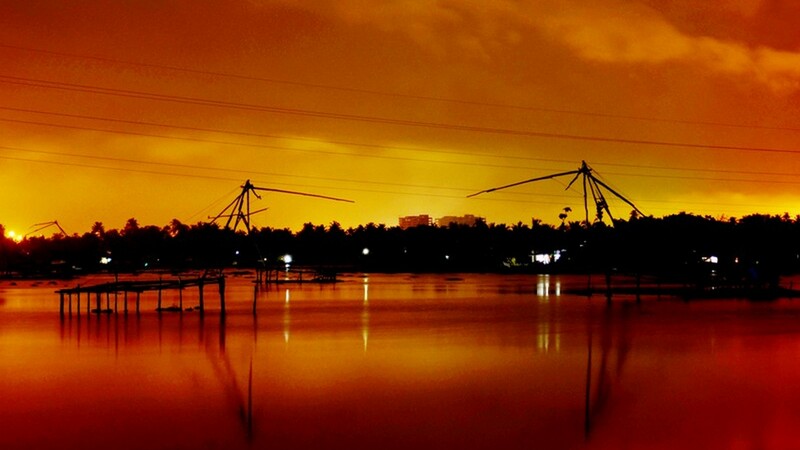 A miraculous sunset and the sea coat and overnight stay at the backwater resort. Checking out from the resort, post breakfast and proceeding to Munnar, the heaven on earth. The plantations of rubber, tea, rubber, and cardamom is spread far and wide that the eyes get lost in the beauty of nature. Checking in at the resort in Munnar and the day is at leisure for you to stroll in the streets and roads of Munnar. Overnight stay at the resort in Munnar. Full day Munnar sightseeing, post breakfast. The visits of the day include the Photo Point, Eravikulam National Park, Kundala Lake, Mattupetty Dam, Pothamedu View Point, Devikulam, Marayoor Dolmens, etc. Overnight stay at the resort in Munnar. Checking out from Munnar, post breakfast and proceeding to Thekkady. Checking in at a resort in Thekkady. 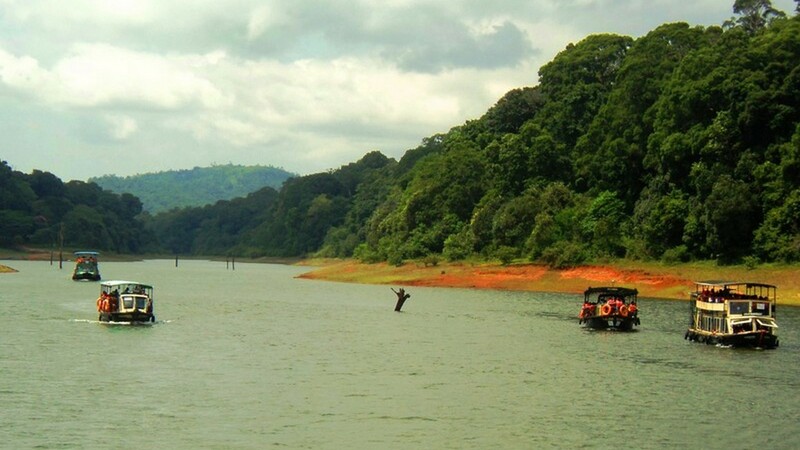 Periyar Lake cruising is offered for the visitors with incredible sights of wildlife and flora. Overnight stay the resort in Thekkady. The day is for exploring Gavi, a wonderful and beautiful village in Gavi. Situated in the Pathanamthitta district, Gavi is a part of the Periyar Tiger Reserve. The Gavi lake offers canoeing and the Green Mansion offers sightseeing. 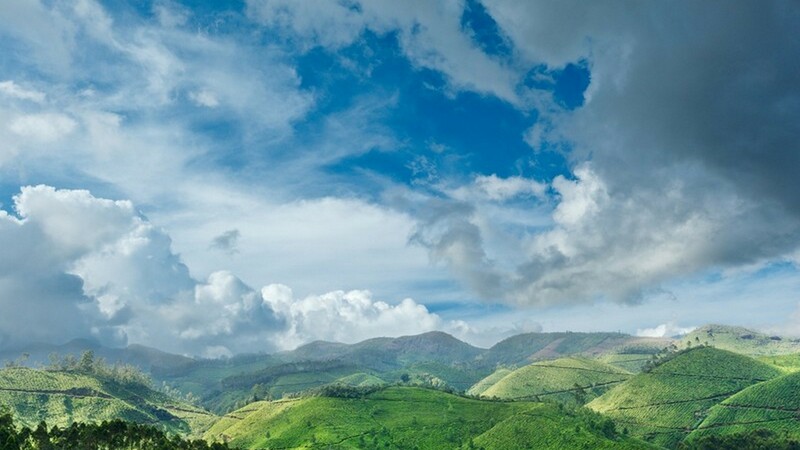 Being one of the most beautiful places in the Western Ghats, Gavi offers a great sight and beautiful views for the visitors along with a full day trekking. Indulge yourself in the greenery of Gavi and take the Cloud Walk. Proceeding back to Thekkady for the overnight stay at the resort. Checking out from the resort in Thekkady, post breakfast and proceeding to Alleppey. At Alleppey, checking in at houseboat. The traditional Kerala houseboat cruising offers a wonderful ride on the backwaters of Alleppey and gives the most mesmerizing views in Kerala. Embrace the beauty of mother nature along with the mouthwatering Kerala cuisine. Overnight stay at the houseboat in Alleppey. Checking out from the houseboat in Alleppey, post breakfast and proceeding to Varkala. Checking in at the resort in Varkala. Well known for the cliff and the beaches, the 2 days are for exploring and strolling around in Varkala. The Papanasham beach is one of the best beaches in Kerala and offers a great sight. The cafes and shops at Varkala give a great time for the visitors along with the wide varieties of food. Overnight stay in Varkala. After breakfast, drive to Varkala beach to enjoy some sightseeing. 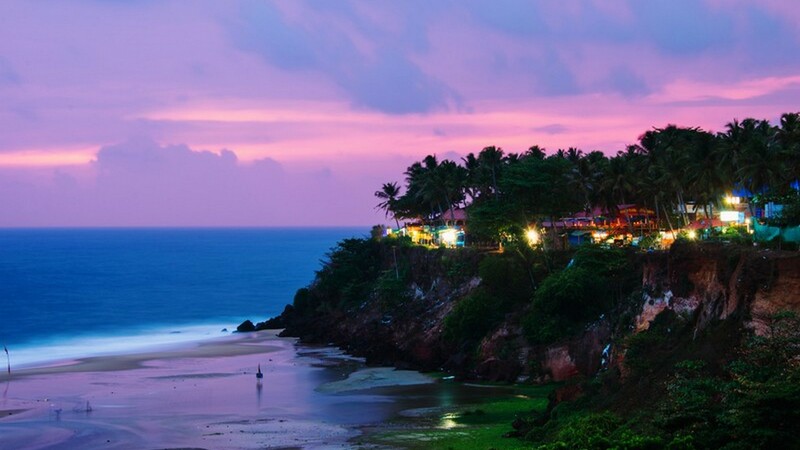 The unique and beautiful sights of varkala is one of the best examples for the beauty of God's Own Country. 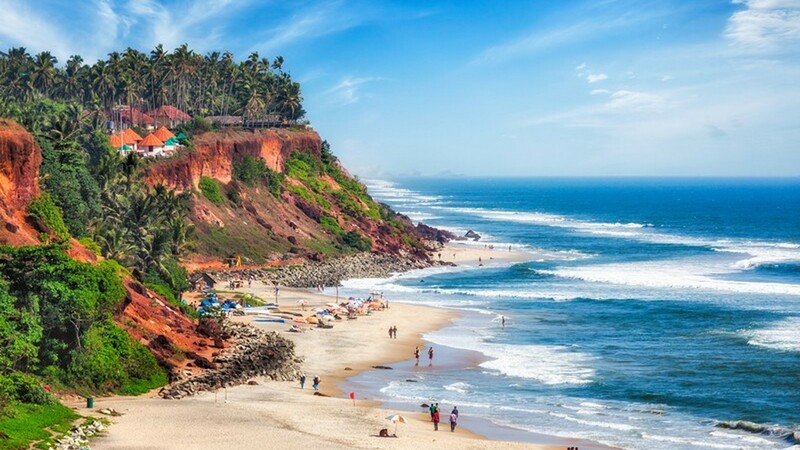 Varkala beach is about one kilometer long and divided into two. The northern end is for sun worshippers & the southern end is for Hindu devotees. The most popular beach in Varkala is the Papanasanam Beach. Overnight stay at the resort. Celebrate your New Year in Varkala Beach and overnight stay in the hotel. Meals Breakfast in All Hotels and All Meals in Houseboat. Proceeding to Kovalam, post breakfast ( after checking out from Varkala). On arrival at Kovalam, checking in at the beach resort in Kovalam. The day is for Kovalam sightseeing. The views and beaches are mesmerizing. 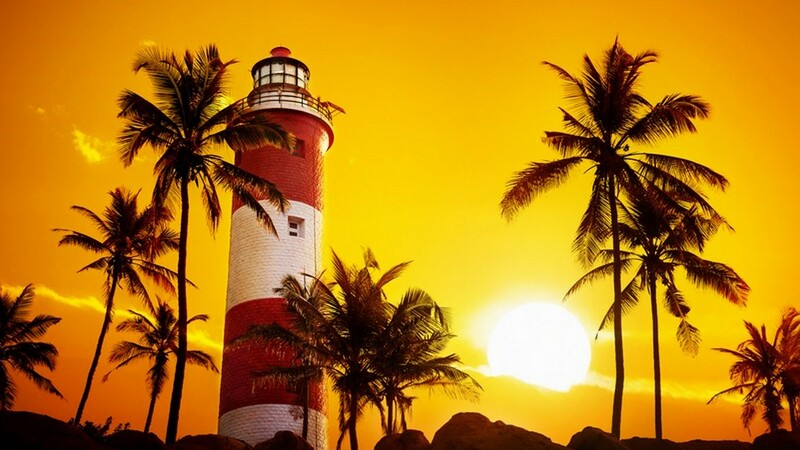 Known as the paradise of the South, the major attractions of Kovalam are the three beaches– Kovalam Beach, Hawah Beach, and Lighthouse Beach. Visiting the beaches, strolling around and shopping in Kovalam. Overnight stay in the resort at Kovalam. Trivandrum sightseeing post breakfast. 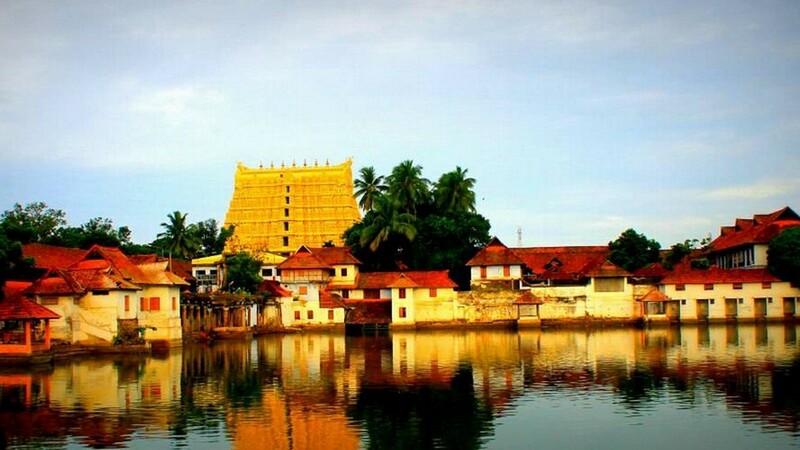 Visits of the day include Sri Padmanabhaswamy temple, Kuthiramallika Palace Museum, and Veli Tourist Village. Local shopping and strolling. Returning to Kovalam and overnight stay in the resort in Kovalam. Checking out from the hotel in Trivandrum and proceeding for Trivandrum airport for departure to homes. The map covers a distance of 855KMs, showing the pathway from Cochin International Airport to Cochin, Cherai Beach, Munnar, Thekkady, Gavi, Alleppey, Varkala, Kovalam, Trivandrum and back to Cochin International Airport. Booked Blissful trip to Kerala Tour Package?